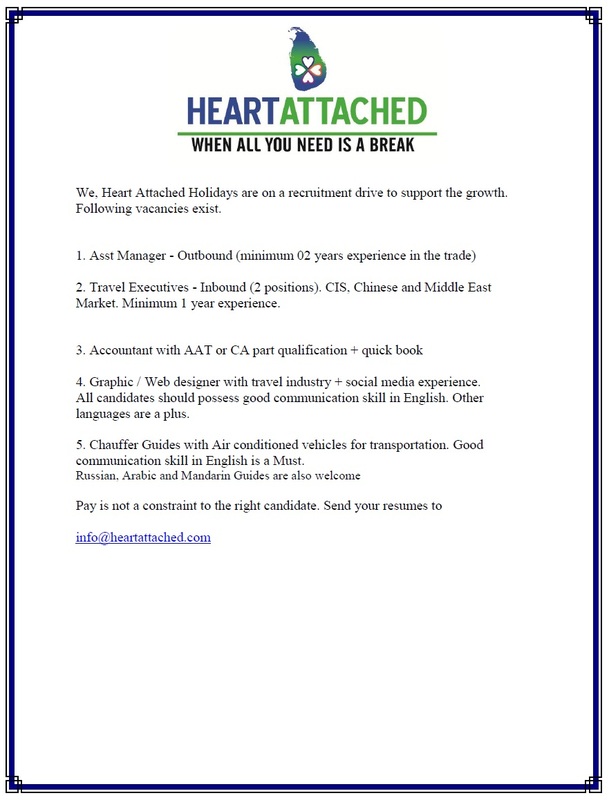 Multiple positions are available at Heart Attached Holidays. Assistant Managers, Travel Executives and Chauffer Drivers. Ability to speak Russian, Arabic and Mandarin in beneficial.